Is this heaven? No, it's a cupcake. We all need a little extra happiness around this time of year. The second semester depression has officially set in and winter is somehow still hanging around to terrorize us. Instead of dropping out of school, hopping on the first flight to Florida, and making a living selling drift wood (at least it’s down warm there, right? 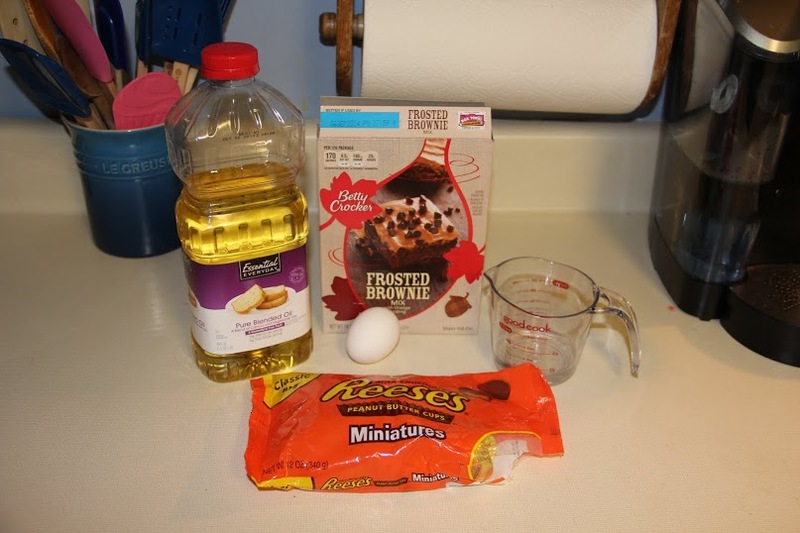 ), try making these super easy Reese’s peanut butter brownie cupcakes instead. 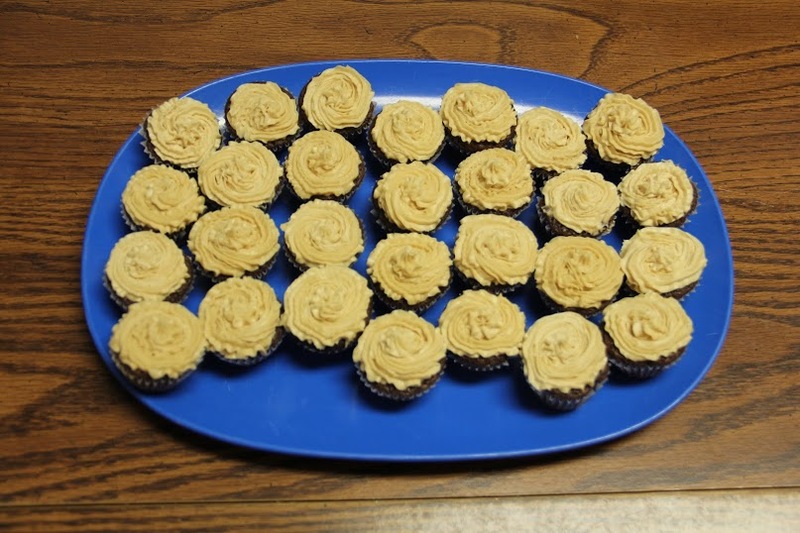 These cupcakes will bring you out of the dark abyss that is midterms and show you the beautiful peanut buttery light. 2. 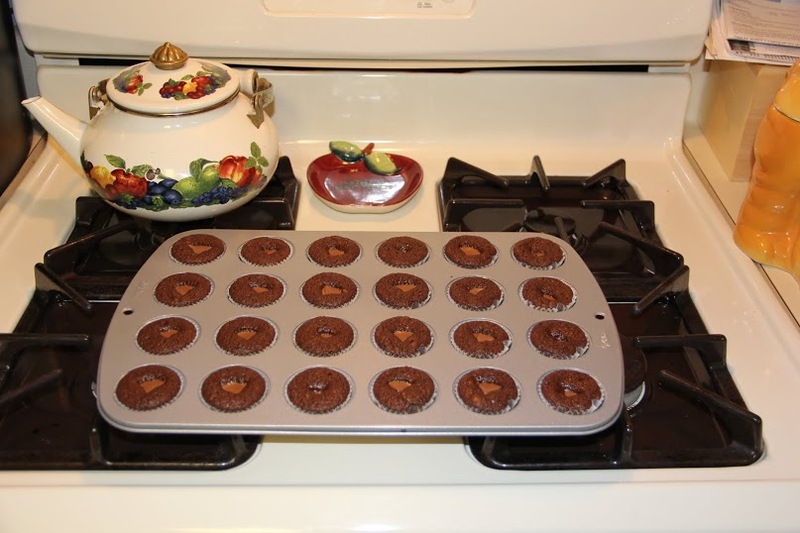 Line mini cupcake pan with paper liners or grease each cup with vegetable oil. 4. 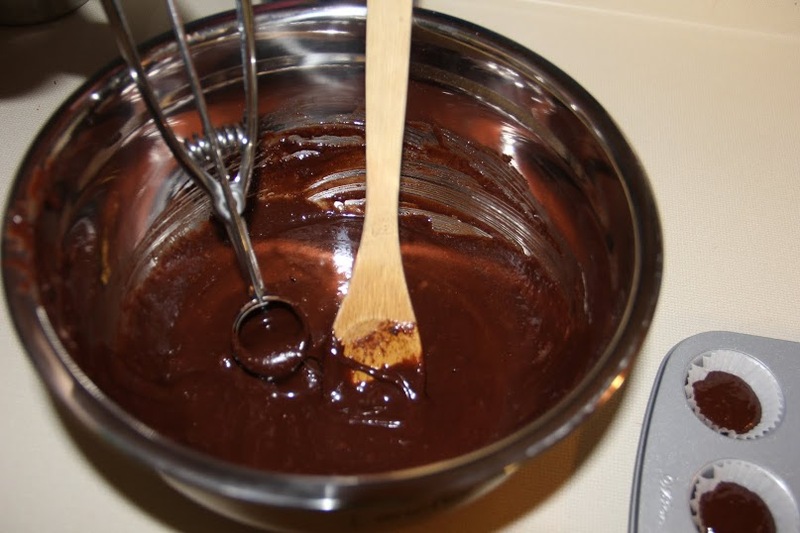 Scoop brownie batter into the cupcake pan. 5. 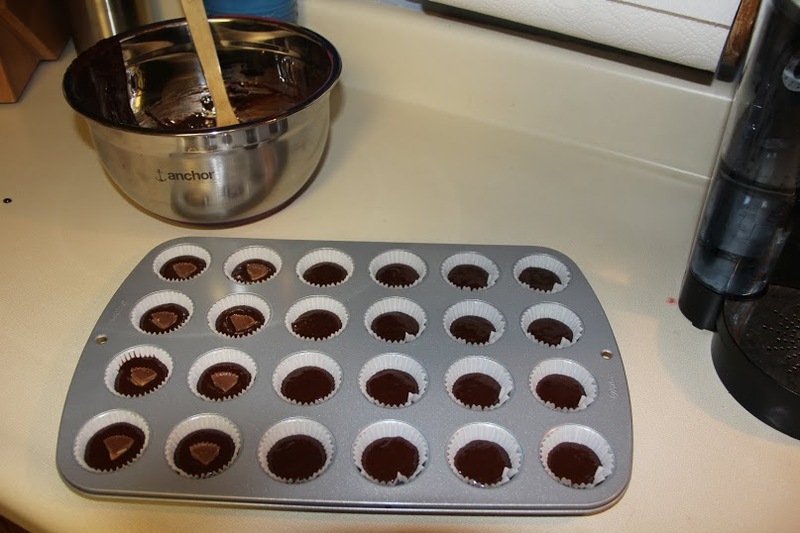 Press one Reese’s mini into the center of each unbaked cupcake. 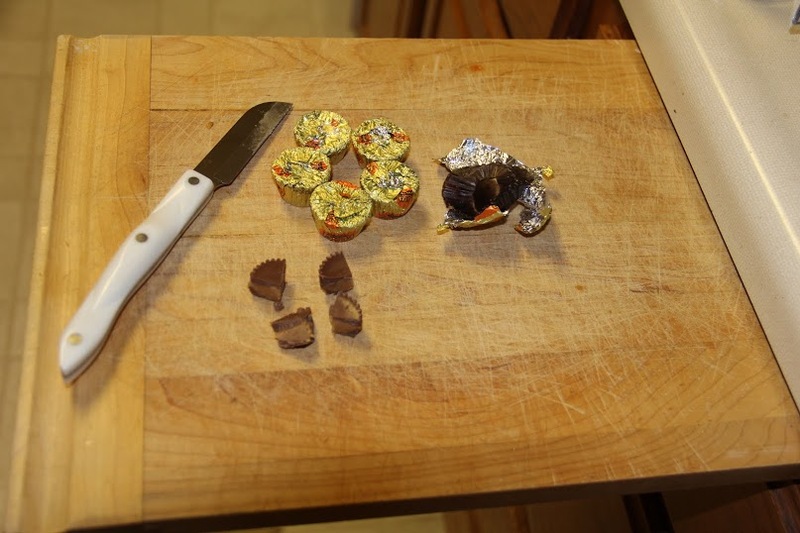 If you have the miniature Reese’s cups that still have the wrapper on them, unwrap them and cut them into fourths. 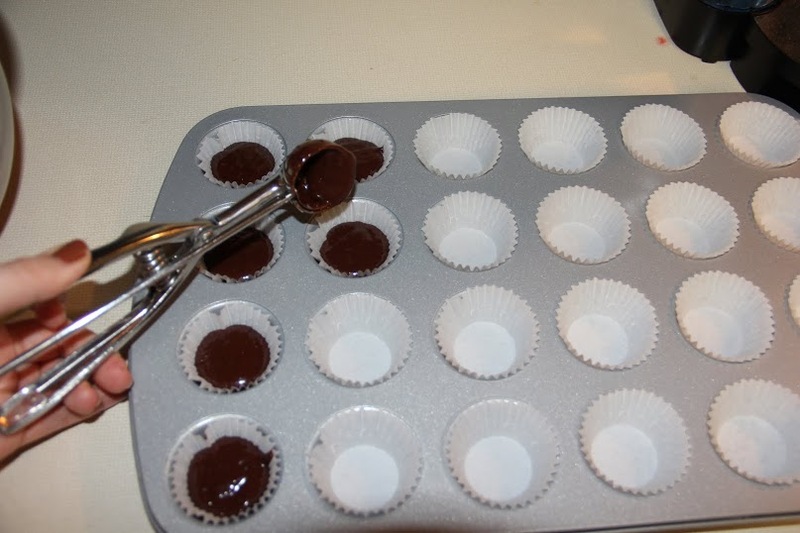 Then place each small piece into the cupcakes. 7. 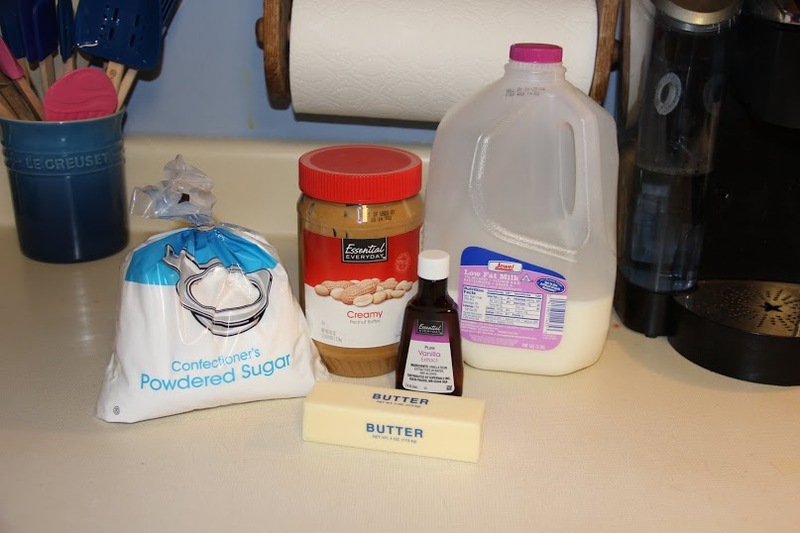 While the cupcakes are baking, cream butter and peanut butter together with an electric mixer. Add milk and vanilla. 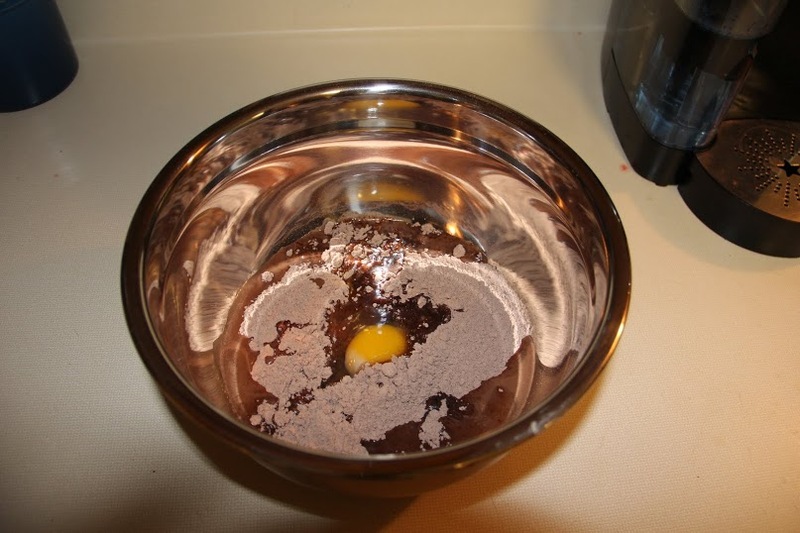 Slowly add in the powdered sugar ½ cup at a time to avoid spraying frosting all over the counter. 8. When the cupcakes are out of the oven and completely cooled, frost them. Eat, smile, repeat. 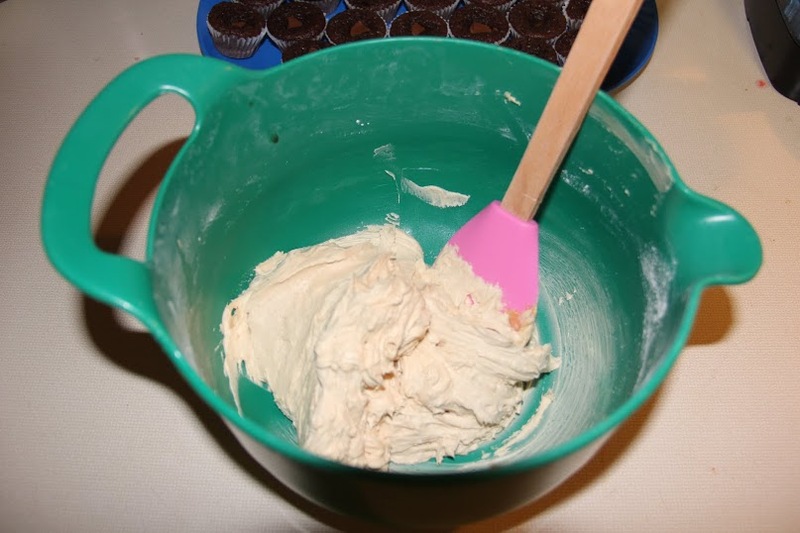 Tip: To produce uniformly sized cupcakes, use a mini ice-scream scooper to scoop the batter into the cupcake pan.